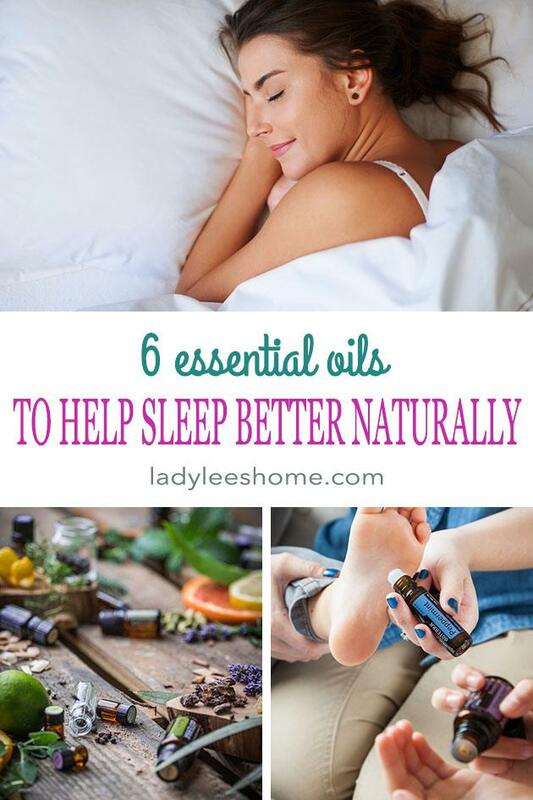 In this post, we will learn about 6 essential oils to help sleep better naturally. These oils can help you fall asleep, stay asleep, and experience a restful sleep in a natural way. I have no problem falling asleep. I can say that it’s because I wake up every day at 4:30 am to work, then the kids wake up at around 7:30 am and for the rest of the day I have the four of them to take care of and a homestead to run. Between 4 homeschooled kids, a business, and a homestead you can be sure that I need to count no sheep when my head hits the pillow. But as I share essential oils with people around me I notice that many many people deal with sleeping problems. Some just can’t find rest in their sleep. In the past few months, I’ve had to research this topic a few times when I was asked what essential oils can I use for sleep? I decided it was time to put this in writing and share it with you. Physically, our body needs a rest. Our organs need a rest and our muscles need a rest. During sleep, the body heals and repairs our cardiovascular system. Sleep helps our body maintain a balanced level of hormones (read more about hormonal imbalance and how essential oils can help HERE). A good night’s sleep is linked to levels of the hormone insulin in our body. This means that sleep helps maintain normal levels of sugar in our blood. This is one reason why deficiency of sleep is linked to obesity. 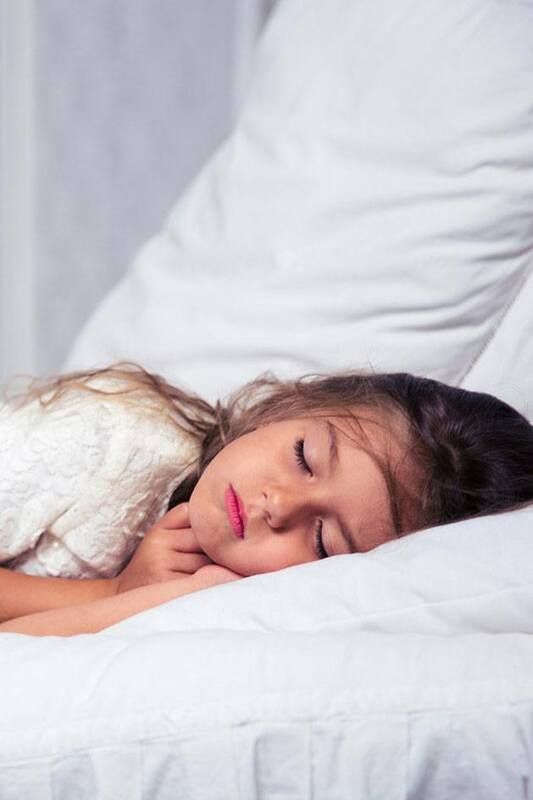 Sleep also supports healthy growth and development and help keep our immune system strong. Sleep time is alignment time. It’s the time when our brain shuts off for a bit and we don’t think. It helps the brain work properly. A good night’s sleep improves learning and creativity. It improves our ability to concentrate, our ability to focus, and our ability to make decisions. And we all know that a good night’s sleep makes us much more friendly and patient. It helps us solve problems and cope with changes without being irrational and taking unnecessary risks. Bottom line… We need to sleep and we need to sleep well! Seven to eight hours every night. It is said that around 33% of Americans do not sleep enough. That is a whole lot of people! If you are one of them, don’t feel bad, there are natural ways to improve your sleep. Before we talk about essential oils that can help you sleep better make sure you are setting yourself up for success here. Maybe you are up late scrolling through Facebook? Cut it out! Maybe you drink alcohol or too much coffee in the evening? Get help if you need and let a bad habit go. Maybe you have a newborn in the house? Don’t let the newborn go! LOL, but see if maybe you can take a nap in the middle of the day or maybe your partner can take over one feeding during the night? Maybe you are stressed over work? If it affects you to the point that you can’t sleep, which affects your health in return and this is an ongoing situation, I’d allow myself to say that it might be time to reconsider and maybe make a few changes. Try to think what is it that bothers you and see if you can do anything to improve your everyday life. Lavender – no surprise here, yes? Steam distilled from the flower of the plant lavender. When you think about lavender essential oils you should think about the word “calm”. It is a soothing, relaxing, and calming oil to our emotions and body. This oil promotes feelings of peace and eases feelings of tension. Vetiver – this essential oil comes from the root of the plant which is a part of the grass family. It is a grounding oil, it calms the emotions and helps promote a peaceful feeling. It is a great oil to help support restful sleep throughout the night. 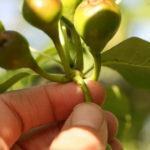 Bergamot – this oil is cold pressed from the bergamot plant which is the most delicate plant in the citrus plant family. This oil is known to reduce levels of stress and calm anxious feelings. It also reduces levels of tension and sadness. Roman Chamomile – steam distilled from the flower of the chamomile plant, this oil is used to aid with sleep because it has the ability to calm body systems. Remember how when you had a stomach ache your grandma said to drink chamomile tea? Remember how you felt your tummy relax almost right away? That is what chamomile does. It relaxes and soothes our body systems. The oil is much more concentrated than the dry plant that you’ll put in tea. Serenity – this blend is a doTERRA blend that is formulated especially to support a restful sleep. It contains lavender, cedarwood, ho wood leaf, ylang-ylang, marjoram, roman chamomile, vetiver, vanilla bean absolute, and Hawaiian sandalwood. We talked about some of those above, together with the other natural ingredients this blend can help you fall asleep and stay asleep. This blend also comes in softgels so if it’s easier for you to take a pill before you go to sleep there is that option too. Breathe – last but not least is my favorite… doTERRA’s blend Breathe. This blend is meant to support the respiratory system and open up the airways. A lot of people don’t realize that during sleep we sometimes don’t breathe right or not breathe deep enough. You probably know this if you snore. Well, if you put a few drops of the Breathe essential oils blend in the diffuser and place the diffuser next to your head on the nightstand it will help open up your airways which will lead to better breathing which will result in a much better sleep. This blend won’t help you fall asleep but it will help you sleep much deeper. Also, if your sleep problems come from sleeping (or rather trying to sleep) next to someone who snores, this will help shut your partner up (*wink *wink) help them sleep better, AND help you sleep better as a result! You can use them topically by applying a couple of drops to your chest or the bottom of your feet before you go to sleep. You can put a couple of drops of oil on your pillow. Breathe and Serenity, since they are already blends, they should be diffused by themselves. Fill your diffuser with 100 ml of water and add 5 or 6 drops of the blend. Place the diffuser on your nightstand and let it work through the night. With the other oils on the list, you can add one at a time to the diffuser or try making your own blend and seeing how they affect you. To a 100 ml of water you want about 6 or 7 drops of oil, so you can try 4 drops of lavender and 3 drops of vetiver. Or maybe 3 drops of bergamot and 4 of Roman chamomile. Remember each of us is different so the oils might affect you differently than they will affect someone else. Also, take into consideration that all of the doTERRA oils are safe for use with kids but make sure to read about safe ways to use oils when they are used with kids. If you use topically you always want to dilute for example. I use doTERRA and I will be happy to help you set up your account. When it comes to natural remedies for myself and my kids I want to make sure that I use the best thing that is out there. doTERRA does not compromise on purity and potency and you can feel the difference when you use their oils. When you get to know them you quickly learn that it’s no surprise that this company became the largest essential oils company in the world with almost six million members within ten short years. If you’d like to learn more about doTERRA, feel free to contact me at lee (at) ladyleeshome.com and I can show you how doTERRA oils can help you. You can also find more information on my oils page HERE. If you want to share your experience with essential oils for sleep feel free to comment below. 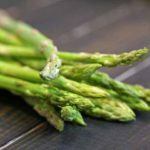 How to Plant Asparagus Crowns and Grow Asparagus For Years!